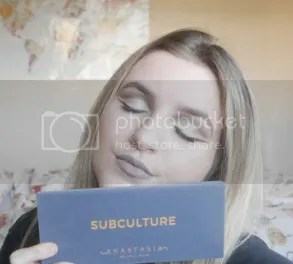 I’m so lucky and grateful that my sister (Sarah) got me a year subscription to Glossybox, I love mystery boxes like this and the fact it comes with makeup and skincare is just perfection to me. It’s like receiving a present every month. So this month you either received a Floral or a Fruity box, I was hoping for Fruity but I got Floral. I really wanted the Hair Vitamins I’d seen everyone receiving. When I saw the box was pretty much skincare I was actually really excited because I’m always up for trying new lip balms, hair masks etc, it makes me feel super pampered and it’s just fun to try new things. (Hopefully next months will be full of makeup though!!). Firstly the perfume was just, a major flop. To quote my sister “it smells like when we used to pick Nanna up after bingo and she smelt of beer”. It really isn’t nice, I wouldn’t even use it for a room spray. Eeek. Now I’m going have to figure out who to give it to. Kudos that it’s a eau de parfum, but it still smells grim. This scent retails for £20.99. I also received a body butter in my box, I was happy with how big the tub was! I was actually in need of a new body lotion! I have tested it briefly, and it smells fab, is quite rich but it soaks in nicely. The scent really lingers too, it’s quite a fresh one. I received the fruity green tuberose scent! I really like the brand prices itself on having 97% natural ingredients derived too and it seems to have a pretty decent formula. This body butter is retailed at £10. Next up, a Original Source Shower Gel in raspberry and rose water (£2.30), it has a nice delicate scent that isn’t too strong. I haven’t tried it yet but I’ve had good experiences in the past with Original source shower gel. Dr Pawpaw pink balm (worth £6.95). I was quite hesitant to try this but it actually has an amazing formula, the balm is pretty pigmented and it wears off beautifully. The shade of pink looks like a pretty, healthy shade too. I have yet to try it as a cream blush. I actually applied this product an hour ago, the Dr Botanicals pomegranate superfood mask. My first thought was that it dries quickly and has made my face feel quite tight but in a good way, I’m excited to see results when I wake up tomorrow as you’re supposed to sleep in it! I’ve seen quite a few good reviews of this so I’m rather excited to see for myself. We received a deluxe mini worth £14. Last but not least the extra treat of the month is a single use hair mask from Palmers, which is worth £2. I haven’t give it a go yet but I’m always happy to try out new hair masks, especially as I have long colour treated hair. Total value of this months box : £56.23 (approx)! What do you think of this months box? Did you receive fruity or floral? ← Huge Empties – Brutally Honest Thoughts!